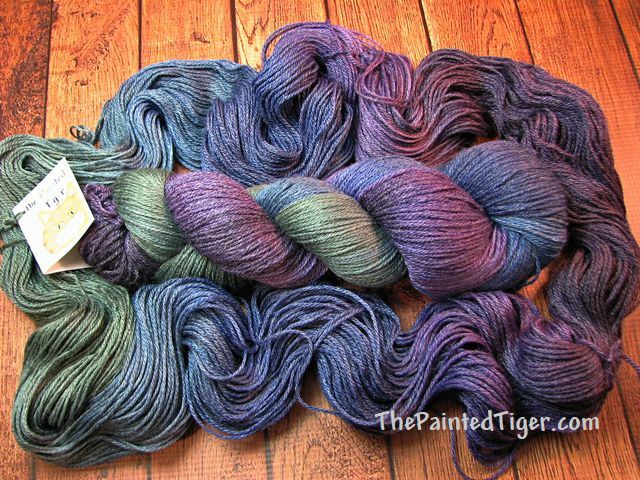 Jewel colors of emerald blend into teals and deep sapphire and finally into deep purple amethyst, all with the lovely sheen of bamboo. Dyed as a down-and-back variegated. The bamboo content lends a faded look to this yarn. Hand dyed with Lanaset Professional dyes. Hand or machine wash cool, dry flat.